How can I make my brand stand out? This is chief among the questions we are asked at Scheffey. How can I be memorable? How can I fascinate new and current customers so when the final purchase decision is made, my brand wins? Getting and keeping your audience’s attention is an age-old skill. One that started instinctively and is backed by science and psychological research. An archetype is a universally understood character or symbol that arouses a fundamental emotion, motivation, or desire in people. They’re tied to our subconscious; they’re understood across cultures, languages, and backgrounds. While the term was first coined by psychiatrist Carl Gustav Jung, archetypes have enthralled large audiences for centuries through storytelling. For example, you’ve probably noticed how certain stories (books, movies, television shows) remind you of others you’ve heard. An oppressed or orphaned individual tasked with saving the world, a lone rider who valiantly challenges the status quo, or an adventure-seeker who boldly goes where no one has gone before, to name a few. These are archetypes in action: characters or symbols that evoke an emotional response and rapt attention. If archetypes can inspire deep-seated emotion for a story, imagine what they can do for brands. This thought is what inspired Dr. Carol Pearson and Margaret Mark to examine how brands use archetypal stories, detailing their findings in the book The Hero and the Outlaw: Building Extraordinary Brands Through the Power of Archetypes. They explain how successful brands figured out their archetype and focused every ounce of branding and messaging on the stories unique to their archetype. Brands who were less focused, who misidentified their archetype, or who tried to suddenly change archetypes struggled in driving consumer behavior and, ultimately, in their sales. Take Geico, State Farm, and Allstate. Each is selling insurance. Each has differentiators that require a little digging to discover and trust. Each brand also recognizes their need to form a quick and powerful reaction in consumers’ minds in order to gain attention and a connection. 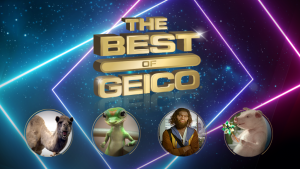 Geico advertisements typically push a price-point differentiator. Commercials quote “Geico could save you 15% or more” through various entertaining spokespeople in over-the-top scenarios. They have famously used a brightly colored gecko, driving pigs, affronted cavemen, and a slew of other cartoonish characters to create a firm narrative that they are fun-loving, quirky, and inexpensive. They are playing heavily into the concept that people like others like themselves, and people buy from those whom they like. Geico likely attracts consumers who feel they are also fun-loving and quirky, or who appreciate a light-hearted attitude toward insurance and value paying less for it. This is the Jester (also known as Entertainer) archetype in action. 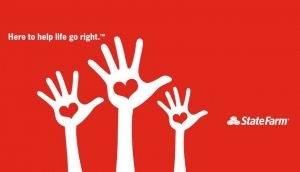 State Farm recently introduced a new tagline of “Here to help life go right.™” They are cashing in on the brand equity they built around having a culture of volunteerism and taking care of their neighbors or communities. They are defining themselves as more than just an insurance provider – they are a life solutions company. What is key here is they’re leaning in to an archetype they’ve already established with previous marketing: the Innocent. The Innocent promises that life does not need to be so hard, but can be made wonderful again. Audiences who know they need insurance, but want to focus more on the power of using it as a resource to help their families thrive, might gravitate to State Farm. 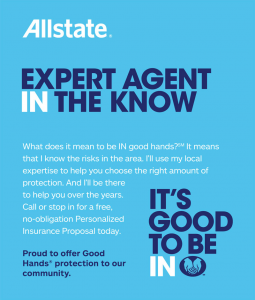 Allstate has also recently updated their tagline to “It’s good to be in good hands” and are targeting the comfort their audience feels when they have good insurance (and a good insurance agent.) Similarly, with their alternate persona, “Mayhem,” they personify the uncertainty and vulnerabilities people face – the lack of comfort and care – especially if they don’t have good coverage. Unique to Allstate is that each marketing story has a foundation in the Caregiver archetype or the archetype that believes in helping and protecting others. But, they also allow two other archetypes – the Jester (“Mayhem”) and the Sage (“Expert Agent in the Know”) – to emphasize their ability to care for clients. They care for clients through chaos by providing good coverage. They care for their clients by providing local, expert agents. Brand archetypes give brands the opportunity to connect with their audience on a powerful, subconscious level. Not only does it help brands get the first look, but it also helps encourage buyers to dig deeper into a brand to discover additional – and potentially more meaningful – differentiators. If your market is compact with brands that offer the same services, give the same “feel”, or worse, has better messaging than you, archetype storytelling is a must. Call us at Scheffey and we can talk you through answers to each of those (and your other) questions. We’re passionate about branding, so we’re excited to help you. Alternately, you can read the Pearson & Mark book first, and then call us. We will work closely with you in correctly identifying your archetype – including gathering input from your leadership team and employees – and creating a method to roll out any new messaging, storytelling, or branding that you find necessary as a result. If all that is too intimidating and you just want to have some questions answered, you can always use our contact form to get the conversation started.